Players take the role of Chell in the single-player campaign, as one of two robots—Atlas and P-Body—in the cooperative campaign, or as a simplistic humanoid icon in community-developed puzzles. These four characters can explore and interact with the environment. Characters can withstand limited damage but will die after sustained injury. There is no penalty for falling onto a solid surface, but falling into bottomless pits or toxic pools kills the player character immediately. 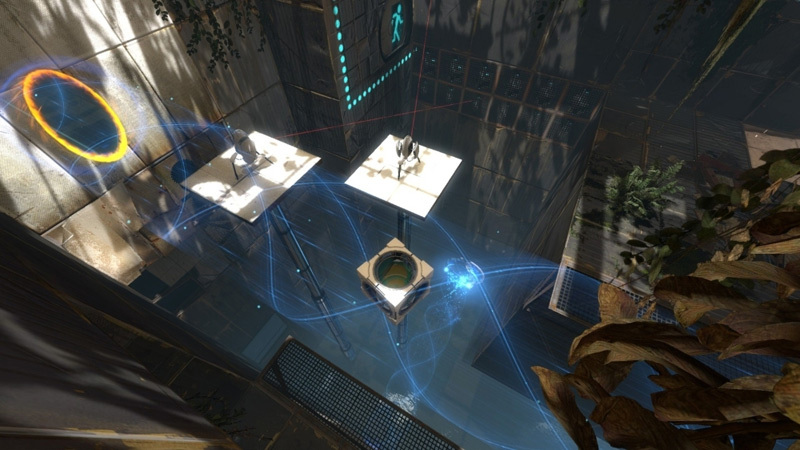 When Chell dies in the single-player game, the game restarts from a recent checkpoint; in the cooperative game, the robot respawns shortly afterwards without restarting the puzzle. 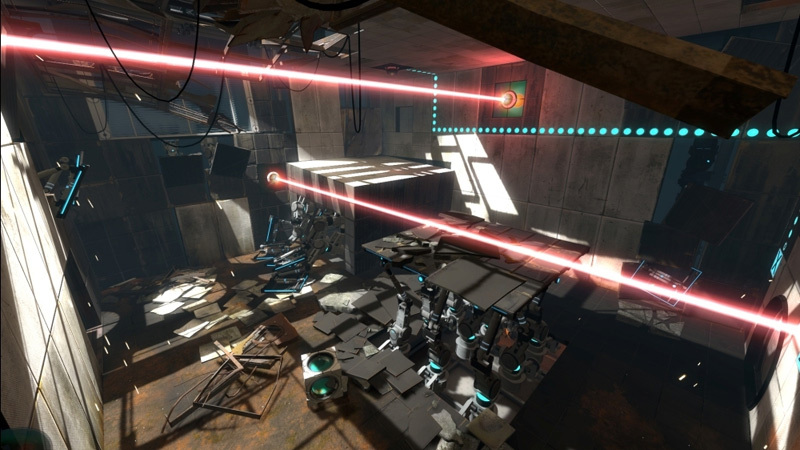 The goal of both campaigns is to explore the Aperture Science Laboratory—a complicated, malleable mechanized maze. If you're strictly into action its slow, plodding, calculated pace will be a turnoff. Yet, somehow Valve has managed to make a puzzle game that will make your pulse rise with a never ending daisy chain of positive reinforcement. It's bigger, more polished, and feels like a full-fledged game instead of an experiment, and we highly recommend it to any player ready to leave their comfort zone and feel smart in the process. Despite being so much bigger than the original, I actually felt a little melancholy once Portal 2 was over, simply because it's so rare to find a game this smart, this funny, and this rich with detail. 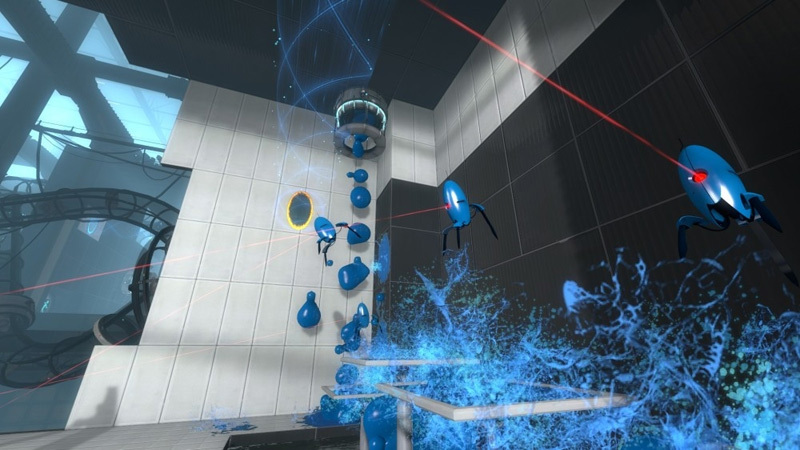 It elevates Portal from an odd, memorable experiment to one of the most significant series in Valve's stable with a unique voice and an incredible level of quality that all developers should aspire to. This is the quintessential “bigger and better” sequel that focuses and expands on the original’s strengths while raising the quality bar higher, but without breaking much new ground. But you may be in the wrong hobby if you’re complaining about more Portal. 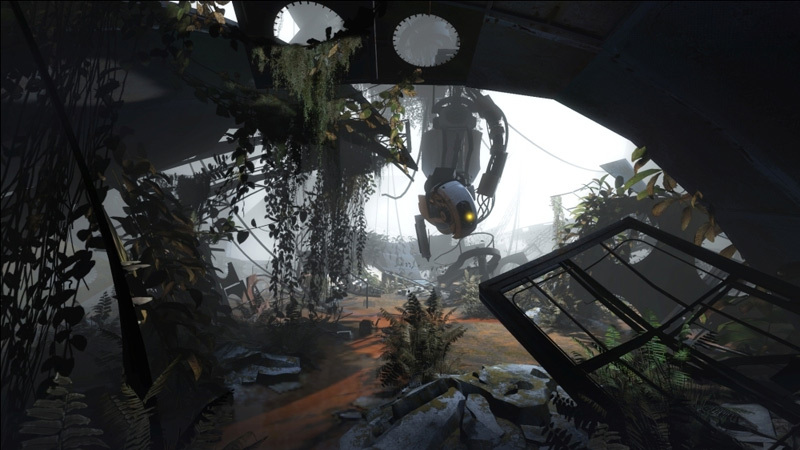 Considering the success of the original game, there were high expectations for Portal 2 and at the end of the day it has it all. A great story, great characters, awesome presentation, addictive multiplayer, and overall great gameplay. 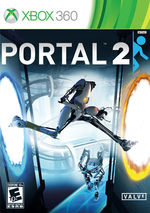 Portal 2 is a first class experience and has significant legs that will keep you coming back. It is definitely one of this year’s best games. Portal 2 is the best sequel we could have expected. The levels just plain aren't as challenging, but the new toys and characters manage to distract enough from the cracks in the paint to keep the whole ride breezing along. It astounds in some ways and disappoints in others, which, while not perfect, is good enough for science. 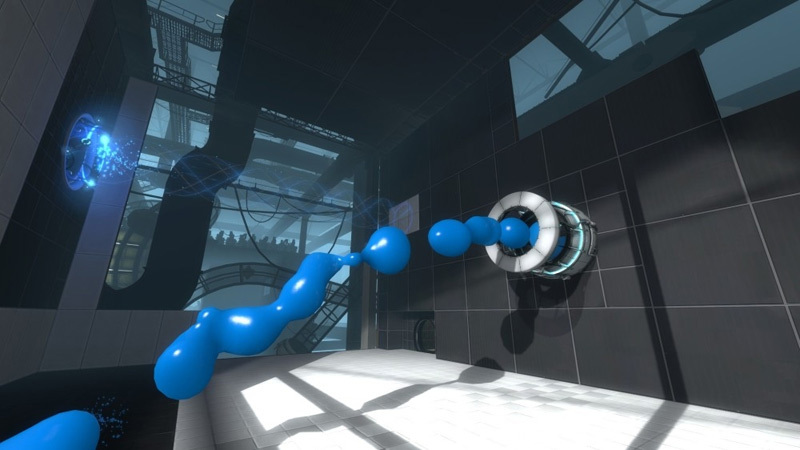 Portal 2 is a strong contender for 2011's game of the year. If you loved the first Portal, you absolutely must pick this one up. And even if you're brand new to the series, Portal 2 includes groundbreaking gameplay, a collection of deep and nuanced characters, a completely insane story, and some incredible gaming moments you'll probably never forget. Portal 2 is outstanding, really, a top-to-bottom success from one of our best developers, and 90 percent of me is completely delighted I got to take the journey. But in the process of falling in love with Portal 2, I lost something kind of magical about Portal 1. I think you knew all along this was going to be great. Fantastic, even. All the same, I don't think you'll be prepared for it being this good. I may have buttoned my lip in terms of concrete spoilers, but a mere ten minutes here will yield more memorable moments than you're likely to squeeze out of the entirety of most other games this year. 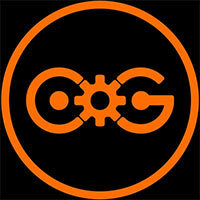 In all aspects of its design, Portal 2 is genius. The biggest problem with Portal 2 is familiarity. Inevitably, it doesn't feel quite as magical as it did the first time you linked two portals together, chucked a cube through them and got that little buzz of achievement from completing a physically impossible puzzle. Like the first time you played an FPS, it's a thrill that can't be recreated. The sense of novelty is diminished, but the thrill of exploration and puzzle-solving is still intoxicating, and it's amazing how Portal 2 manages to tell a better story with disembodied voices and spherical robots than most games can with full-on humans. Your return to Aperture Science is a joyful one in this immensely appealing, laugh-out-loud funny, and thoroughly satisfying sequel. Detto questo, Portal 2 è un vero capolavoro che ogni appassionato di belle esperienze dovrebbe inserire nella propria collezione. Il team di sviluppo è riuscito nella difficile impresa di far crescere nel migliore dei modi un'idea già eccezionale, superando anche la più rosea delle previsioni. Se avete una PS3, una Xbox 360, un PC o un Mac, c'è solo una cosa che potete dire prima di andare ad acquistare questo gioiello: grazie, Valve! Portal 2 is daarom ook de game waar gamers al sinds de eerste Portal op zitten te wachten. Portal wordt volgens velen al gezien als een perfecte game, maar Portal 2 is gewoon op ieder vlak verbeterd en vernieuwd. Het is meer, het is beter en het is de droom van iedere gamer. Met geweldige humor en boeiende personages sleept de game je mee en laat je niet meer los.